iVend Optical is an industry vertical solution on the iVend Retail management suite designed for Retail Optical shops, Optometry Practices (with or without a retail dispensary), Retail sunglass stores and Ophthalmology clinics (selling RX eyewear). 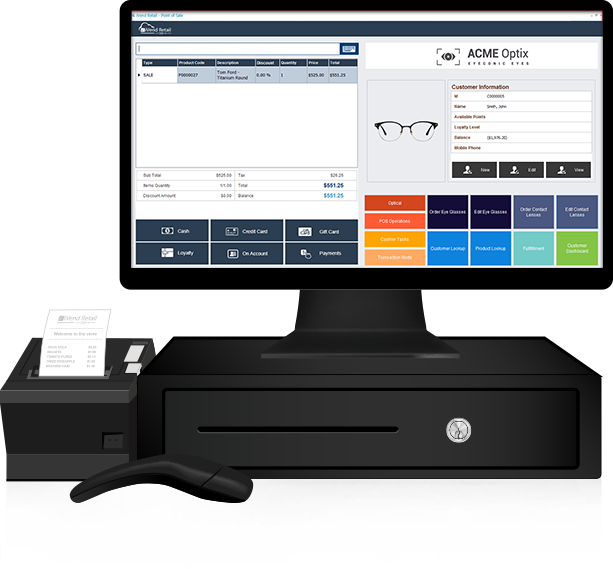 Developed by a leading provider of software solutions, iVend Optical presents easy to use tools to manage optical Point-of-Sale, frame and contact lens inventory, and business development activities. iVend Optical seamlessly integrates all business processes from the POS at store to the planners at the Head Office lowering the overall cost of operations and simplifying expansion to help your business bring the bottom line into focus with increased profitability. iVend Optical is intuitive to work with, even for non-technical roles, providing store owners with visibility into product and store performance, schedule and mange appointments with patient notifications, and allows retailers to easily distribute targeted customer promotions. Ready to grow your Optical business? 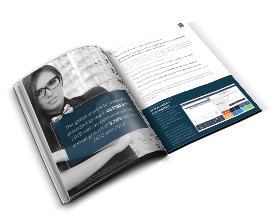 Download our iVend Optical brochure to learn more about the benefits of implementing a vertical specific solution from an industry leading POS provider. 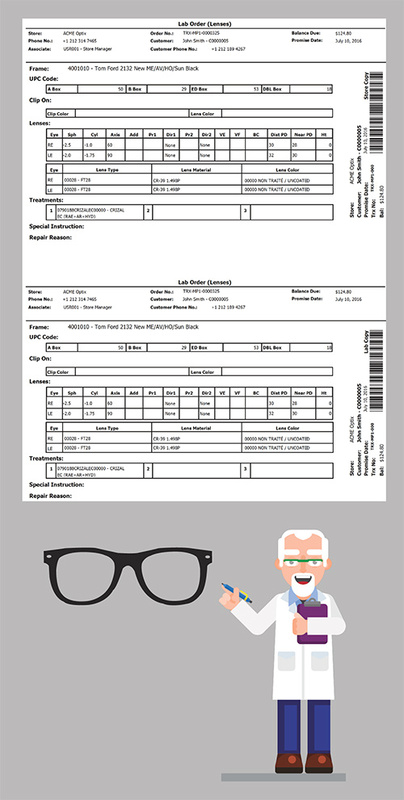 Wizard driven qualification process manages customer data from Rx capture to eyewear fulfillment. Simplify the customer experience with appointment scheduling, text based appointment communications and easy reordering. Centralized delivery and stock management ensures that customers are given accurate information, thereby improving customer service, satisfaction and retention. Supports industry-standard interoperable APIs allowing it to be integrated with standard business management applications like ERPs or other financial applications. The application also comes with a standard Extensibility Kit, allowing retailers to incorporate their unique business processes into the application without impacting standard upgrades and updates. Increase operational efficiency to stay ahead of the competition with an application that responds quickly in-store with up-to-date store data held in a centralized database for easy reporting. Ensure that orders are generated accurately, reducing errors and simplifying their processing, delivery and management. Email, SMS and Alert Notifications to reach patients via two-way text messaging, email, and notification alerts. Create new and / or modify existing Email, SMS and Alert Notification templates and send notifications on different events/processes like order confirmation, change of tray status, optometrist scheduling and appointment confirmation. Fully integrated Scheduling and Appointment feature allows maintaining customer data, prescription details, health related information, service records and invoicing details all in one system. Seamlessly manage appointments, focus on marketing efforts, and engage patients with a dynamic, multimodal, and interactive feature. Reach patients via voice, two-way text messaging, email, and local search/online reviews. Faced with shrinking margins and increasing competition from the eCommerce world, optical retailers are focusing on customer service to increase their competitive edge. Personalized customer service is one way brick-and-mortar retailers are differentiating themselves by demonstrating the services they offer cannot be duplicated online. For optical retailers, operating a business that provides vision prescriptions as well as fashion frames, prescription lenses, contacts, and plano sunglasses can be a challenge. iVend Optical gives retailers the tools they need to efficiently and profitably manage technical data related to lenses, frames, and contact lenses and link them to customers’ prescriptions. iVend Optical also provides analytics reports that track fashion trends and aid with stocking the right style, color, and size assortment, and review transactions by prescription vs. nonprescription. iVend Optical includes seven integrated software modules: iVend Enterprise, iVend POS, iVend Mobile POS, iVend eCommerce, iVend Loyalty, iVend Passes, and iVend Reporting and Analytics. This end-to-end retail, omnichannel-ready management application allows integration of in-store retail with back office processes and an online storefront. Its data synchronization feature permits up-to-date, accurate reports including lab orders, stock status, sales, delivery, and open orders. To help you get the most out of your retail management system investment, iVend Optical is designed to scale along with your business. Interoperable APIs facilitate integration with enterprise resource planning (ERP) and other financial applications, and the software’s extensibility kit (SDK) enables retailers to incorporate their unique processes into the application without impacting upgrades or updates.